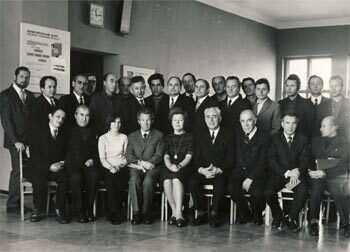 The Institute of Geophysics (IGP) of the National Academy of Sciences of Ukraine was organized on the 23rd of December 1960 in Kiev as a result of integration of Geophysical Laboratory and Magnetic Station of the Institute of Geological Sciences of the Academy of Sciences of Ukrainian SSR, geophysical departments and stations of the Institute of Geology and Mineral Resources of the Ac.Sci.Ukr.SSR and the Section of Seismology of the Ac.Sci.Ukr.SSR with the aim of cooperation between scientists in the fields of fundamental, experimental and applied geophysics. The founder and the first Director of the Institute (from 1960 to 1976) was the famous geophysicist S.I. 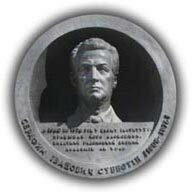 Subbotin who played an important role in the development of the main lines of geophysical science in Ukraine. The leading geophysicists of the Republic of the day joined the Institute: I.A. Balabushevich, V.N. Golovtsyn, V.V. Kravets, Z.A. Krutikhovskaya, T.S. Lebedev, N.P. Mikhaylova, G.T. Sobakar, V.B. Sollogub, A.V. Chekunov. The first postgraduates of the IGP were S.S. Krasovsky, E.K. Lossovsky, A.N. Tretyak (all of them became Doctors of Science). To memorize the name of the Academician S.I. 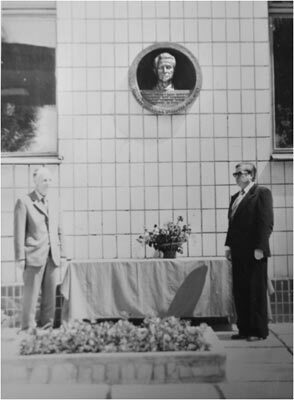 Subbotin the Institute was named after him in 1978, and on the 13th of June 1981 a memorial plaque was opened on its front wall with the bronze sculpture portrait of the Academician S.I. Subbotin. Since 1998 the prize named after S.I. Subbotin has been set up in the National Academy of Sciences. From 1976 to 1991 the Institute was headed by the outstanding geophysicist A.V. Chekunov, who contributed greatly to the strengthening of its scientific authority. The progress in geotectonics, deep-seated structure of the Earth's crust and the upper mantle, tectonic processes, integration of the data of different geophysical methods, studies of modern geodynamics and seismic activity, tectonophysical simulation is associated with his name. Since January 1992 the Institute of Geophysics has been headed by the Academician of NAS of Ukraine V.I. Starostenko. The main problem which faced the Institute was the study of deep-seated structure of the Earth's crust and the upper mantle and the forecast of mineral deposits applying geophysical methods. Laboratory of Magnetic Prospecting with magnetic station (Dymer) – the head Candidate of Geol.-Min. Sci. Z.A. Krutikhovskaya (later Doctor of Geol.-Min. Sci.). In addition Scientific Library was organized, auxiliary facilities, Lvovsky branch headed by Cand. of Geol.-Min. Sci. A.P. Bondarenko also joined the IGP. A major breakthrough in the field of Lithosphere Physics was elaboration of the fundamental theory of tectonic movements and the mechanism of production of the Earth's crust structures made by S.I. Subbotin in 1954-1975. This theory explains on the grounds of modern physics the reasons of vertical and horizontal movements of the lithosphere, as well as the formation of structures produced. It is given in his books "The Earth's Mantle and Tectogenesis" (1968) and "The processes in the Earth's Upper Mantle in relation to the Earth's crust structure" (1964). The last one was reissued by the journal "Tectonophysics", and in 1966 the journal "Geophysic und Geologie" issued Chapter 6 of this monograph. Since 1962 the Institute has begun the annual issue of the "Geophysical Collection", which has been reformed since the middle of 1979 into the "Geophysicheskiy Zhurnal" with 6 annual issues. From 1981 to 2000 included the "Geophysical Journal" was reissued in English by the Firm "Gordon & Breach Science Publishers Ltd". In 1963 the Complex Geophysical Observatory (CGO) was organized at the Institute headed by the Doctor of Geol.-Min. Sci., Prof. V.N. Golovtsyn. Its purposes were the studies of variations of geomagnetic, geoelectric and gravity fields as well as the state of ionosphere and seismic activity of Ukraine. The Poltava Gravimetric Observatory headed by the Corr. Member of the Ac.Sci.Ukr.SSR Z.N. 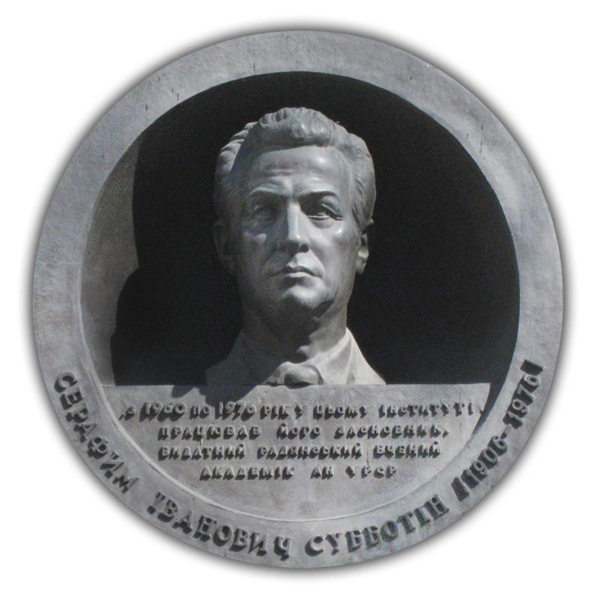 Aksentyeva was included into the Institute in 1964. Since 1964 the Institute has begun participating in marine geophysical expeditions. In 1966 the Institute of Lithosphere Physics of the Ac.Sci. USSR delivered the Crimean seismic stations "Alushta", "Simpheropol", "Feodosiya" and "Yalta" to the Institute of Geophysics of the Ac.Sci.Ukr.SSR. The Department of Seismology of the Crimean Zone (today the Seismology Department) with four seismic stations was organized in Simpheropol and included into the structure of the Institute. A well-known seismologist Doctor of Phys.-Math. Sci. I.I. Popov took charge of the Department. Systematic studies has begun on seismic activity and seismic regime of seismically active areas of Ukraine. The activity began on compilation maps of general and comprehensive seismic zonation as well as microzonation (I.I. Popov, P.S. Karmazin, B.G. Pustovitenko, G.N. Bugayevsky, O.I. Yurkevich, E.A. Sagalova, A.M. Sklyar, O.N. Safronov et al.). In 1972 the Staff Members of the Institute: Academician of the Ac.Sci.Ukr.SSR S.I. Subbotin and Doctor of Geol. & Min. Sci. Z.A. Krutikhovskaya in collaboration with the colleagues of the Dnepropetrovsky Mining Institute named after Artem, the Trusts "Dneprogeophysics" and "Kievgeology" were awarded the State Prize of the Ukr.SSR in the field of science and technique for elaboration and introducing into practice geophysical methods of geological mapping, prospecting and studies of deep-seated structure of the deposits of the Ukrainian Iron ore Province. On the base of these elaborations the reserves of magnetite deposits of the Great Krivoy Rog has been estimated. This activity played an important role for the strategy of further development of the region. In 1975 a new large subdivision was organized – the Sector of Explosion Geodynamics, headed by the Doctor of Tech. Sci. A.A. Vovk. Scientific activity of the Division of Explosion Geodynamics, headed now by the Deputy Director on Science, Corr. Member of NAS of Ukraine V.A. Danylenko is being conducted in the following directions: the construction of models of geophysical media; elaboration of experimental and numerical methods of studies of nonlinear wave processes under dynamic impacts in natural media; elaboration of new impulse technologies for intensification of mining and processing of useful minerals. In 1997 Interdepartmental scientific-research self-financing Center of Geodynamic Studies was organized with the aim of conducting investigations which need coordination with subdivisions of NAS of Ukraine, Ministry of Energetics of Ukraine and the Chief Administration of Geodesy, Mapping and Cadastre at the Cabinet of Ministers of Ukraine on the problems of organization and conducting of seismologic, hydrogeologic, geodesic and geological - engineering activity within geodynamic testing-grounds of nuclear power plants, hydrotechnical constructions, within the areas of location of especially important and ecologically hazardous objects. As a director of the Center the Head of the Department of Regional Problems of Geophysics, Cand. of Geol.- Min. Sci. V.D. Omelchenko was appointed. The activity on the studies of the Earth's crust and the upper mantle of Ukraine and adjacent regions has been conducted by the method of Deep Seismic Sounding since 1960. The structure of the Earth's crust of all the large geostructures of the Former Ukrainian SSR was studied, the blocks, faults and waveguides were discovered, schemes of relief of the main surfaces of discontinuity were constructed including the bottom of the crust – the Mohorovichich discontinuity, existence of several surfaces of this discontinuity of different age was discovered, evolution sets of geostructures were compiled, some corrections of the general model of the Earth's crust were made (V.B. Sollogub, A.V. Chekunov, L.T. Kaliuzhnaya, A.A. Tripolsky, T.V. Ilchenko et al.). In 1975 for a series of works "The Structure of the Earth's Crust" Academician of the Ac.Sci.Ukr.SSR S.I. Subbotin (posthumously), Corr. Members of the Ac.Sci.Ukr.SSR V.B. Sollogub and A.V. Chekunov were awarded the prize named after V.I. Vernadsky by the Ac.Sci.Ukr.SSR. In 1979 a junior scientist of the Institute A.N. Gerasimenko for the series of works "Problems of separation of the seismic signals and analysis of some information systems" was awarded a medal of the Ac.Sci.Ukr.SSR with a premium for young scientists. ;In addition to seismic sections, models of the Earth's crust and the mantle are constructed by other physical fields. Density models are plotted in three-dimentional variant with application of new methods elaborated at the Institute (E.G. Bulakh, S.S. Krasovsky, K.A. Bolubakh, V.O. Rzhanitsyn et al.). By constructing density models of the crust and the mantle the Institute of Geophysics became the leading one in the Former Soviet Union. It was given scientific leadership in the works (S.I. Subbotin, V.I. Starostenko). It was for the first time that magnetic model of the Earth's crust has been constructed for the Ukrainian Shield and relation has been revealed between the upper and lower parts of the crust, which reflects interaction of the crust and the mantle (Z.A. Krutikhovskaya, I.K. Pashkevich, 1976), magnetic models of other shields of the FSU – the Baltic Shield and the Anabarian Shield are being constructed. On the base of a method elaborated at the Institute (Z.A. Krutikhovskaya, I.M. Silina et al., 1975) new iron ore areas have been discovered. Automated systems of processing and interpretation of geophysical data are produced (V.I. Starostenko, 1972-1978), a theory and an algorythm of solving nonlinear incorrect problems by iterational methods have been elaborated (V.I. Starostenko, 1976). A procedure of iterational simulation of gradient - laminated media in gravitation field (S.S. Krasovsky et al., 1976) has been elaborated. New problems of a theory of gravity potential (A.V. Cherny, 1975-1978) have been solved. Quasiperiodical variations of gravity (G.T. Sobakar et al.) have been studied since 1967. Thermal field of Ukraine has been studied (R.I. Kutas, V.V. Gordienko, 1971-1978). Interpretation of geophysical fields for the purpose of the study of deep-seated structure of the western areas of Ukraine was fulfilled (V.I. Klushin, 1972, V.I. Khomenko, 1971-1978). A method of integral ratios has been elaborated. Automated systems for processing and interpretation of data of potential fields were constructed and introduced into practice (E.G. Bulakh, M.N. Markova, V.O. Rzhanitsyn, 1965-1968). ;New regularities of changes of elastic, magnetic and electric parameters of mineral matter under high thermodynamic conditions have been revealed. The first petrophysical model of the Earth's crust of the Ukrainian Shield (T.S. Lebedev, V.I. Shapoval, B.Ya. Savenko, Yu.P. 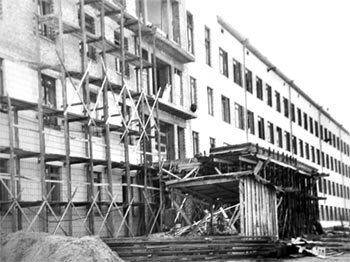 Orovetsky, 1975-1978) was constructed. A complex of geophysical data on deep-seated structure of the crust and the upper mantle of the south of the European part of the FSU was generalized and their geological interpretation was given (A.V. Chekunov, 1972). Considerable results were obtained in the field of tectonophysics (V.G. Guterman, 1977), relation between the Earth's crust movements and the processes at the crust-mantle discontinuity were studied (I. Sh. Rahimova, 1977- 1983), strained state and theological properties of the lithosphere (O.I. Yurkevich 1978-1984), modern movements of the Earth's crust (V.I. Somov, 1977-1983). Maps of thermal flows, temperatures at the various depth levels as well as depths of Curie isotherm were compiled for the territory of Ukraine (R.I. Kutas, 1974-1978). Great electroconductivity anomalies were revealed: Kirovogradskaya (I.I. Rokytyansky, I.M. Logvinov, 1972) and Karpatskaya (A.P. Bondarenko, A.I. Belinsky, F.I. Sedova, 1972) and beyond the borders of the Ukr.SSR (by procedure and with participation of the Institute of Geophysics of the Ac. Sci. Ukr.SSR) Podmoskovnaya, Caucasian and Verkhoyanskaya. The colleagues from the Institute participated in compilation of Geothermal Atlas of Europe (R. I. Kutas, 1991`-1992), supervise one of the parts of Global Program "Geomagnetic Meridian" (I.I. Rokityansky, 1976). In 1984 ten colleagues of the IGP for a series of works "Theory, procedures and results of studies of the lithosphere of Ukraine and adjacent territories by a complex of seismometry, gravimetry and geothermic data", which includes more than 30 monographs, were awarded the State Prize of the Ukr.SSR in the field of science and technique. The accident at the Chernobyl NPP in 1986 made corrections in the activity of the Institute Staff. Many members of the Staff participated in monitoring radioactive pollution of people, territory, transport, food. Activity on seismoacoustic control of ChNPP objects has started. In 1988 a special group of research workers from the Institute (16 specialists) went to the area of catastrophic Spitak earthquake (Armenia) for giving help to injured, studies of the earthquake aftermath, organization and conducting epicentral observations. Research workers of the Institute according to Soviet - Guinean Governmental Agreement from 1981 to 1993 participated in geological - geophysical studies of the territory and the shelf of Guinean Republic on the base of Scientific - Research Center in Conakry (Guinea). In 1993 Yu.P. Orovetsky was awarded a prize named after V.I. Vernadsky of the AS of Ukraine for his monograph "Pallial diapirism". Edition of the results of many years international geophysical studies carried out within the territory of the Central and Eastern Europe, where practically all the varieties of tectonic structures and geodynamic regimes of the Earth's continental lithosphere are concentrated, was completed in 1994. Composition and structure of the monograph (8 volumes) comprise the results of the studies of deep-seated structure of the Earth's crust and the upper mantle according to complex geological - geophysical data, studies of structural interconnections of various levels of tectonosphere and its discontinuities, zonation of the regions by complex of deep - seated geological - geophysical indications, studies of dynamics of the lithosphere, its structure and petrologic evolution, volcanism, metamorphysm and ore formation. Taking into account the contribution of the Institute of Geophysics to fulfillment of the studies and their generalization, in 1995 the scientists of the Institute: Acad. NAS of Ukraine A.V. Chekunov, Acad. NAS of Ukraine V.I. Starostenko, Corr.Member NAS of Ukraine O.M. Kharitonov, Doc.Geol.- Min. Sci. V.V. Gordienko, Doc.Geol.-Min. Sci. S.S. Krasovsky, Doc.Geol.- Min. Sci. R.I. Kutas, Cand. Geol.-Min. Sci. I.K. Pashkevich, Corr. Member Ac. Sci. Ukr.SSR V.B. Sollogub (posthumously) were awarded the State Prize of Ukraine in the field of Science and Technique for the eight-volume monograph "The Lithosphere of the Central and Eastern Europe". Since 1992 a new stage has begun in developing international scientific communications. The Institute participates in a set of programs and projects: EUROPROBE, GEORIFT, EUROBRIDGE, PANCAPDI, DOBRE, INTAS, NARS-DEEP, IRIS, SCAR (Antarctic studies) et al. In 1994 the Albuquerque Seismologic Laboratory of the US Geological Survey and the Institute of Geophysics concluded the Memorandum of understanding - a protocol of intentions - and started assembling a new modern digital seismologic station "Kiev" (near Malin). The American member took responsibility for financing of works. In 1995 the station "Kiev" began operating and was involved into the system of Global Seismologic Net (GSN). Ukraine has become a member of IRIS consortium (Incorporated Research Institutions for Seismology) and was granted an access to the World Seismic Database. On the 17th September 1998 US Geological Survey and the IGP signed a Protocol on scientific - technical cooperation in the field of studies of Physics of the Earth, assembling and keeping seismological devices running, exchange of seismologic data and related scientific results. Since 1995 the Institute has participated in the scientific studies, conducted by Ukraine in Antarctic (after Great Britain's delivery of the sientific station "Faraday" to Ukraine). This station was given a new name – "Academician Vernadsky". Geophysical studies are conducted on the way of the vessel to change the team of winterers, as well as on the site of the station on the testing grounds of the South Shetland Islands and the Orkney Islands. Research workers of the Institute participated in 5 winter stays and in 5 Marine Antarctic expeditions. In 1996 Doc. Geol.-Min. Sci. O.B. Gintov with the team of research workers of the State Mining Academy of Ukraine and the Odessa State University were awarded the State Prize of Ukraine in the field of science and technique for scientific work "Regularities of deformation of the upper part of the Earth's tectonosphere obtained by theoretical and experimental methods". In 2001 research workers of the Institute were awarded the State Prize of Ukraine in the field of science and technique for scientific work "Paleomagnetic studies in Ukraine (theory, methods and introduction into practice of new trend in the Earth sciences)". Prize winners became: Doc. Geol.-Min. Sci. A.N. Tretyak, Doc. Phys.-Math. Sci. V.N. Zavoysky, Doc. Geol.- Min. Sci. O.M. Rusakov, Cand. Geol.- Min. Sci. A.M. Glevasskaya, Cand. Geol.-Min. Sci. N.P. Mikhaylova, Research Worker V.N. Tsikora. In 2002 research workers of the Institute Doc.Phys.-Math. Sci. E.G. Bulakh and Doc. Phys.-Math. Sci. V.N. Shuman were awarded a Prize named after S.I. Subbotin of NAS of Ukraine for scientific work "The Fundamentals of Vector Analysis and the Field Theory". Results of scientific studies of research workers of the Institute are depicted in numerous publications and are widely applied at different enterprizes. 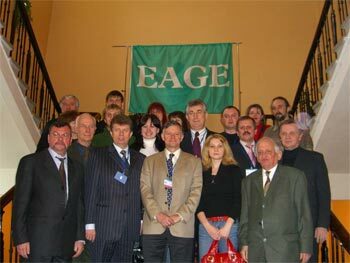 Scientific works of Ukrainian geophysicists are well known abroad, they are widely represented in special issues of the journals "Tectonophysics"(1996, 1999, 2003), "Physics of the Earth" (rus. ), Doklady of the RAS (rus. ), "Geophysical Journal International, "EOS, Transactions, American Geophysical Union", "Global and Planetary Change", "Pure and Applied Geophysics", "International Journal of Different Equations and Applications". They have been reported many times at International Geological Congresses and big Forums. Department of Seismic Activity of Carpathian region, Chief, Cand. Phys.-Math.Sci., S.T. Verbitsky (Lvov). The following scientific lines of the Institute were approved by the Presidium of NAS of Ukraine in 2003: studies of tectonics, structure, geodynamics and evolution of the continental and oceanic lithosphere; compilation of three - dimentional complex geophysical and petrophysical models of geological structures for the purpose of useful minerals forecast; elaboration of technological automated systems of processing and interpretation of geophysical information; geophysical studies of the environment aimed to the forecast of seismic hazards and other hazardous natural phenomena. Since 1961 a Postgraduateship has been operating at the Institute, and since 1990 – a Doctorate by a speciality 04.00.22 – geophysics. Among the persons who has graduated from the Postgraduateship 141 have defended their Candidate Theses; among them 26 persons have defended their Doctor Theses. Ten persons have graduated from the Doctorate, among them four persons have defended their Doctor Theses. There are 479 Staff Members at the IGP now, among them 1 Academician, and 1 Corr.Member of NAS of Ukraine, 23 Doctors and 55 Candidates of Sciences.